Today was our last option day and we spent it in San Diego. We had one group head to the ocean to learn how to surf, and they had an amazing time. All of the students got up on their board which is so exciting for them. The second group went to a huge outlet mall right on the border of Mexico. There were many deals to be had, and it seemed like almost everyone is coming home with a new pair of shoes. The third group went to Mission beach, which is a phenomenal spot to relax. Depending on what options everyone picked, there are some students who have been at a theme park every day this week… so a relaxing beach day was much needed and appreciated. Mission beach is not only beautiful, but has an awesome little carnival area with cute shops and a few little rides which is fun to wander around in. We have had a lot of overcast days this week, but today was beautifully sunny and perfect beach weather. Tonight we all met up at one of our very favourite spots, the Warehouse, right on the beach at Mission. We rented out the roof top deck and had a feast of tacos and a churro bar. We heard from our guest speaker Gary one last time and then had the MOST EPIC dance party! Having fun together and dancing on the beach is the perfect way to end off such an amazing week together in California. Tomorrow we get to sleep in… YAY! We are leaving the hotel at noon and heading to an outlet mall in Los Angeles. And then we get to go to an NBA game!!!! We are BEYOND excited for this brand new Calbreak experience, and I know it will be the perfect last event before we hop on the buses and start heading home tomorrow night. Thanks for reading along with our adventure! We’ll see you all on Sunday! Another great and busy day in California today! The majority of our group went to 6 Flags Magic Mountain to check out some of the countries BIGGEST and craziest rollercoasters. Many fears were conquered today! There were many students who felt scared to try the big coasters, or thought they wouldn’t enjoy them… but they loved them! These coasters are unreal… loops and drops like crazy. They are unlike anything we have ever seen before, and many students were so excited to now be able to say they have ridden them. It wasn’t too busy in the park today, which is awesome and meant that everyone could get on a bunch of rides . . . which always makes the experience much more fun. We are proud of these kids for facing fears and we’re so glad they had so much fun. We had another group at Project Serve today, serving on Skid Row at Union Rescue Mission. It is always an eye opening and very humbling experience to see such a different way of life. Today’s team was working in the kitchen serving lunch to a couple of thousand people. Union Rescue is a very busy place, and is doing such amazing things to help people get the support they need. And it is awesome to see so many high school kids who want to take a day of their spring break vacation to give back and be willing to learn and serve in what could feel like an intimidating environment. We had a little group that headed to Laguna Beach today. It was an overcast day, but still really relaxing and nice to get a break from the theme parks for the day. Tonight we had our speaker Gary Garcia share with us again, and he also asked his wife to share with us her story. She has an incredible story of perseverance and not being defined by our mistakes. I know that it hit home to all of us and it was a blessing to have Gary and Ami share with us. Tomorrow we are heading down south to San Diego for the day! It is one of the most beautiful cities in the world and we can’t wait to take our crew there! Today was one of the highlights of the trip for many students... Disney day!! We hit the ground running very early this morning to make it to Disney by 8am. When you only have one day in the park you have to make the most of it! It was a very busy day in Disney today... but our crew made the most of it and hit as many rides as possible in the morning. Some highlights were Space Mountain, Big Thunder Railroad and the Indiana Jones ride. Disney is a magical place and it was so fun to watch our students take it all in. It really is the happiest place on earth! We took a little break in the afternoon and headed back to our hotel for some free pizza and pool time. We headed back to Disney at 5:30 and stayed right until the park closed at midnight. The crowds started to let up in the late evening and our crew was able to get on a few more rides and take in some shows. It was a very full day and everyone was very tired but very happy by the time we got back to our hotel. What a fun day!!! Tomorrow is another option day.. most of our group is heading to 6 Flags to ride some BIG coasters, and we have a group at Project Serve and at the beach. Should be another great day in Cali! Today was our first option day where our students go to choose what they wanted to do. 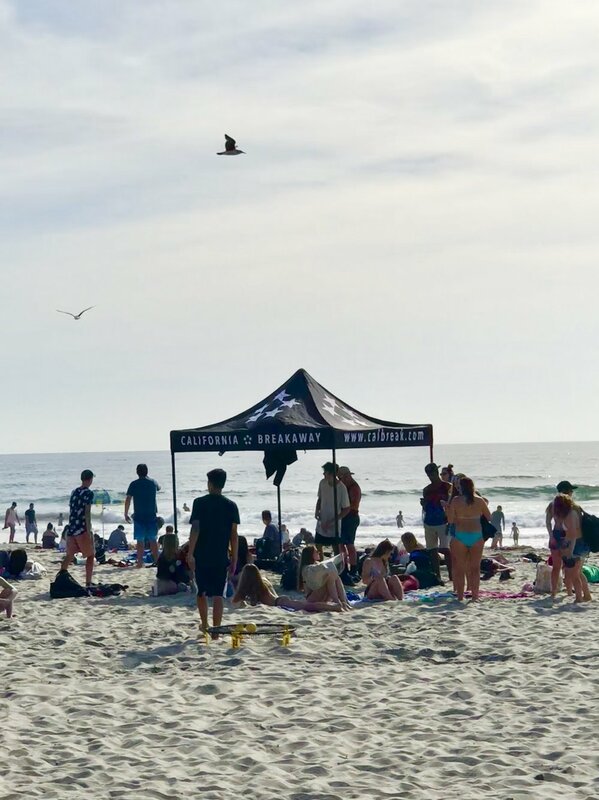 We had a large group of students head to Laguna Beach, which is an incredibly beautiful spot with a gorgeous beach and lots of cute shops and restaurants to explore. It was a bit of a cool morning, but after lunch the sun finally came out and we were able to have a couple of awesome hours of beach time soaking up the sun. We had another group head to downtown LA on something we call Project Serve. They spent the day volunteering in a soup kitchen/homeless shelter called Union Rescue Mission which is located right in skid row. Union Rescue serves 3 meals a day to thousands of people, as well as houses hundreds of people who are trying to get off the streets. Our group was split into two groups; one served in the kitchen preparing and serving the food and one was on the family floor playing with kids and doing some organizing of their clothing room. Our students really had an amazing experience and shared at our large group meeting about how their experience really helped them gain perspective and want to give back more. Our third group spent the day at Knott’s Berry Farm, which is a roller coaster park very close to our hotel. It is a great park for people who love rides and they had a great time conquering some fears and crushing some coasters. This evening we had a great time heading to Cornerstone Church to hang out at Wave Uth, which is a local youth group run by our guest speaker for the week Gary Garcia. They brought out some food trucks for us, and we were able to hang out on their patio and use their skate park and games for a couple of hours. We ended the night with another bus battle and we heard from Gary again as well as a couple of students from his youth group. We had so much fun hanging out with them for the evening! Good evening everyone! Day two in Cali has been amazing! This morning we loaded up and left the hotel to head to Hollywood. We spent about an hour there checking out the Mann's Chinese Theatre where all of the famous hand prints are in the cement, taking pics of the stars on the sidewalks, and exploring the Dolby Theatre where the Oscars are held. Once we finished up there we headed straight over to Universal Studios and had an epic day checking out all it had to offer. Everyone started our Universal day by going on the Tram ride, which is about a 45 min tour through actual movie and TV sets where we saw a bunch of behind the scenes stuff and special effects. After the Tram the rest of the day was spent enjoying all the awesome rides. Some of the favourites were the Harry Potter ride, Transformers, and the Mummy. After a full day at Universal we headed out to City Walk, which is a really fun street right outside the park gates that has a ton of awesome restaurants and shops. Everyone met up in their small groups and enjoyed a meal together. It is amazing how fast friendships are made on Calbreak. Looking at our group it would be easy to assume that everyone was good friends before we left Saskatchewan... but new friends have been made and everyone is having an incredible time. Today was so FUN. So many laughs and memories made and we can't wait to see what tomorrow brings! Hey everyone! We are here!!! First thing this morning we enjoyed some pancakes at IHOP and headed straight for Huntington Beach - Surf City USA! It was amazing to get off the bus this morning in the parking lot of IHOP and smell the ocean, grass, and flowers all around us. After such a long winter at home soaking up the sunshine today was amazing. Huntington Beach was awesome today. It was an overcast day, which was a bit disappointing but also saved us from the classic first day of Calbreak sunburns... so maybe a blessing in disguise. 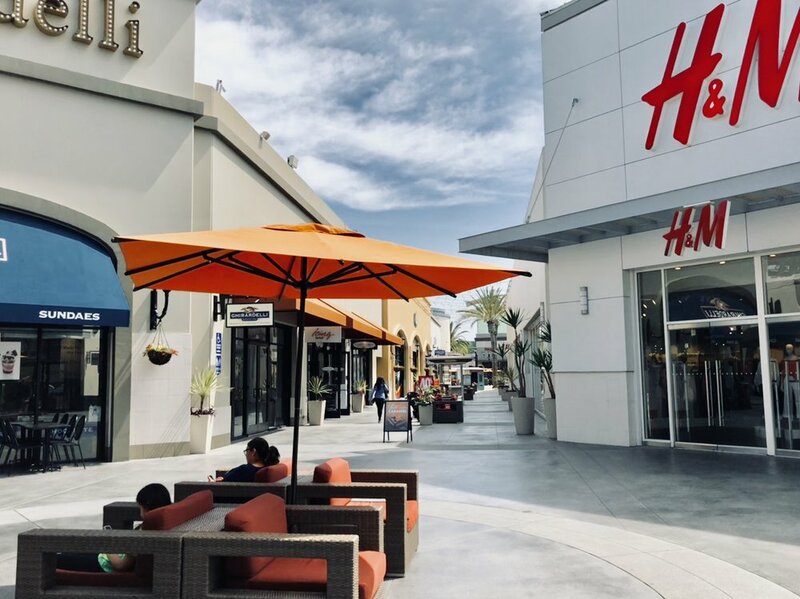 Huntington Beach is the perfect combination of amazing beach, awesome shopping, and lots of things to see. Some people went to Ruby's for lunch... an iconic restaurant right at the very end of the pier with such an incredible view of the ocean. Other people wandered through the shops and hit up some of the local restaurants on Main St. The sun finally came out in the afternoon and everyone gathered on the beach for swimming, tanning, spike ball, and soaking up this amazing Cali life. It was an epic first day, and we are so happy to be going to sleep tonight in real beds instead of bus seats. Tonight at the hotel we had a fancy banquet meal to kick off our amazing week together, and heard from our speaker Gary Garcia. Thank you to everyone for liking and sharing our bus cheer videos! It was fun to share a bit of our experience with our community back home. It is off to bed because tomorrow is another epic day at Universal Studios Hollywood! Stay tuned for updates on what Hollywood brings us tomorrow. Hello everyone! Just checking in to let you know that we are in Salt Lake City and we are LOVING life! It is spring here, and everywhere we look we see beautiful tulips and green grass. What a nice change from the cold and windy parking lot where we loaded onto the bus yesterday! We are getting a little taste of the good weather to come, and it is exciting. The trip is going so well, and soon we will be in Cali! We are just spending a couple of hours in Salt Lake City to soak up some spring, do some shopping, and eat some Chick-Fil-A. In an hour we'll head back to the bus and settle in for the night as we head towards Vegas. We would love to ask of your help as we leave Salt Lake. We have a little friendly competition going between all three buses that we call the Battle of the Buses. This runs for our whole trip, and the winning bus gets an exclusive all expense paid trip to In N' Out Burger on our last night in Cali. If you have ever been to In N' Out, you probably know how GOOD it is and how badly each bus wants to win! The Battle of the Buses includes a few different elements, some up front games and competitions and a daily Instagram challenge. But today our Bus Battle involves all of YOU! Before we left Idaho Falls we each gathered in our bus groups and presented our bus names and cheers. The videos of those cheers are posted on the Calbreak Facebook page and Instagram account. The winner of today's Bus Battle is in your hands! The bus who receives the most LIKES, SHARES, and VIEWS of their cheer video will win today's points. So PLEASE, head on over to the Calbreak Facebook or Instagram and support the bus that you are cheering for! Please like, share, or at least view the video of the bus you would like to give points to. Every little bit helps, and I know everyone on the trip would love to get all of you involved. And we would love for you to get a little glimpse of the fun we are having! Tomorrow morning we will hit up an IHOP bright and early for a plate full of pancakes, and then it's off to Huntington Beach for the day. The weather is supposed to be sunny and 24 degrees, and we are liking how that sounds. Thanks for checking in! We will post an update tomorrow night and let you know about all of our epic beach adventures. All three buses have made it safely to Idaho Falls. The mountain pass was super clear with great weather. We're excited for a little bit of downtime. Stay tuned for the battle of the bus cheering contest, where you can vote on your favourite bus cheer! 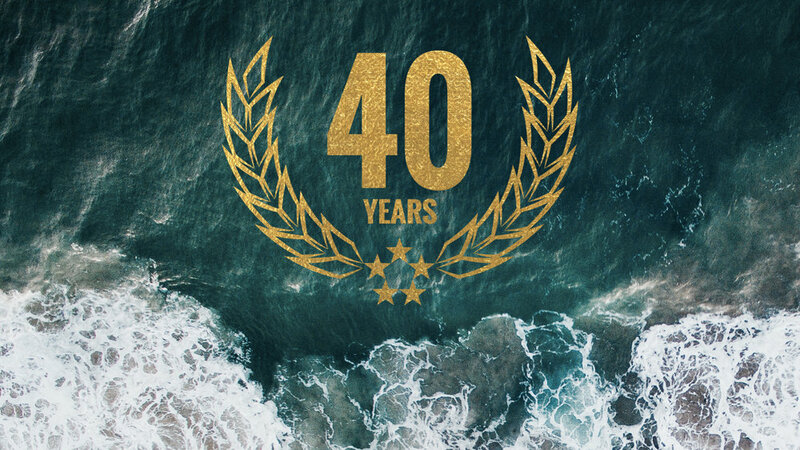 40th Year! - Let's Go! We are only ONE DAY away from Calbreak 2018, and this will truly be the Spring Break of a lifetime! We want all the friends and families of our Calbreak students feel like you're part of the 5 STAR EXPERIENCE! This blog will be updated daily, so you can feel like you are experiencing every exciting twist and turn, every thrilling experience and every aha moment with us! So make sure you bookmark this page, share it with anyone you know, and get ready to be connected to the trip of a lifetime!